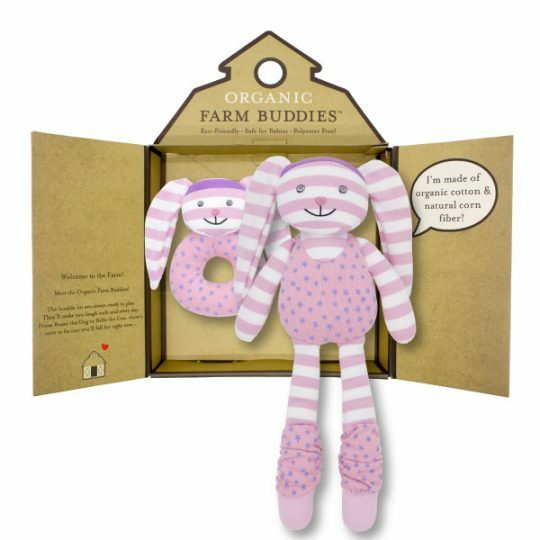 This organic rattle doll is soft and perfect for inquisitive baby boys. 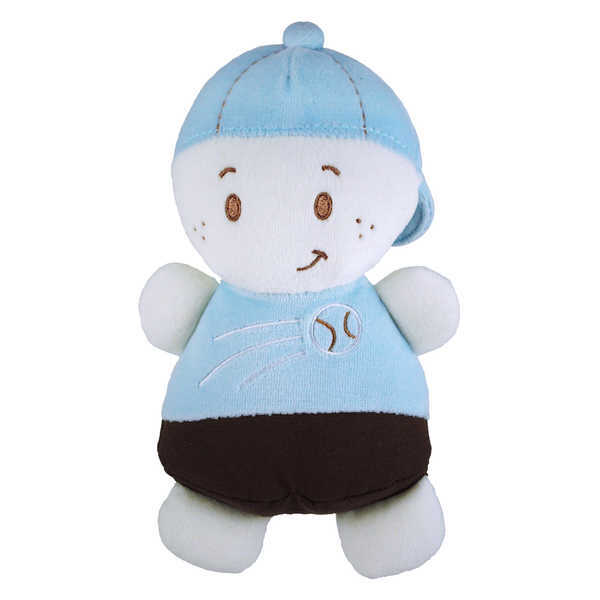 Doll is lightly stuffed for baby to hug & hold, with a cap and tag for tugging & teething. Makes a delightful rattle sound when shaken. Face details and stitched on for optimum safety. Made from soft organic cotton velour and filled with natural corn fibres. Doll is machine washable and free from chemical and pesticide residues. Dimensions: approx 19cm length x 12 cm width.